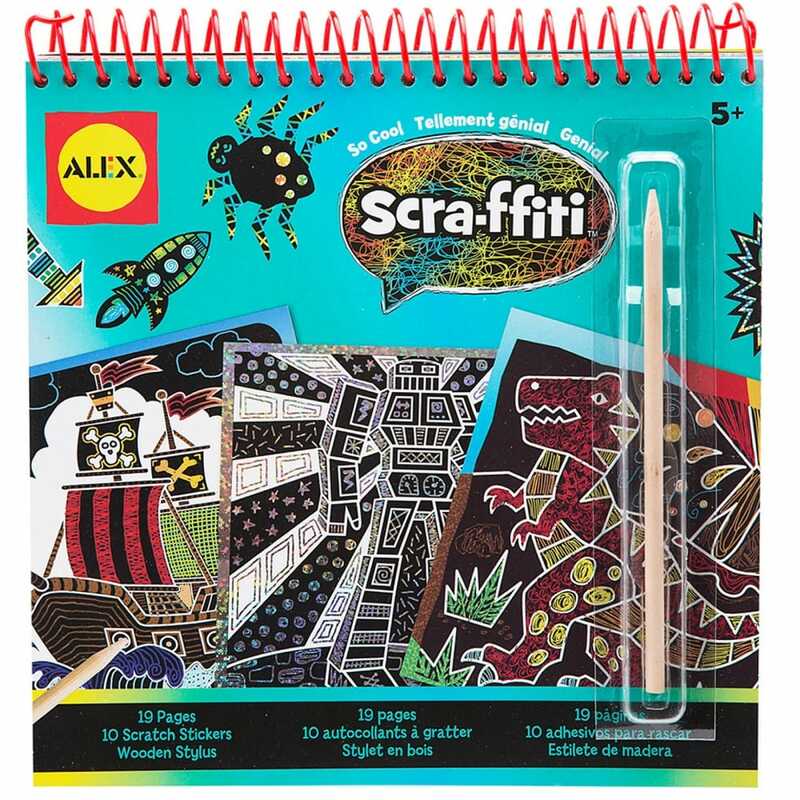 Scratch pad lets artist create beautiful coloured designs on special black paper, the 19 page book with 10 scratch stickers and a wooden stylus is a great for taking on long journeys or creating on rainy days. When you draw with the wooden stylus, the top layer of the paper scratches away, revealing a rainbow of colours underneath. Use the pattern guide to match different scratching techniques for cool effects.